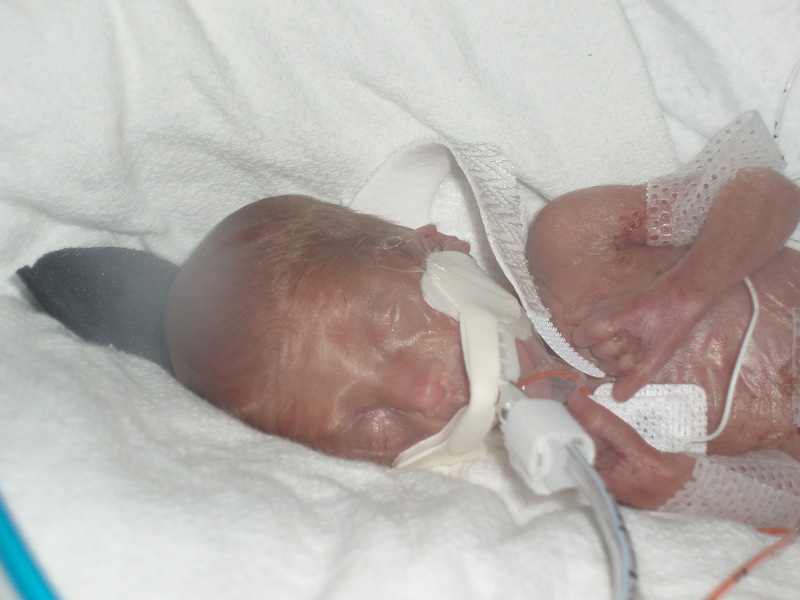 In our June edition of our Preemie Family newsletter we learned about precious Kylie Pelleymounter born at 23 weeks at 1 lb 2 oz. In celebrating Father’s Day, her father Josh shares with us an update on her at now at 2.5 years old. 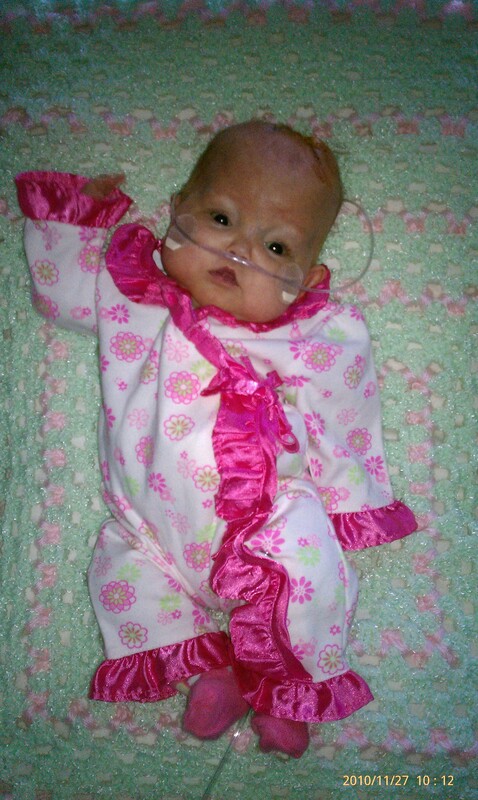 Kylie’s NICU journey showed what an absolutely amazing fighter she is and proves that miracles happen. After being rushed down the hospital hallway for an emergency C-Section (just like on TV – we were all literally running), Kylie didn’t want to wait any longer and was born breach in the surgery prep room. As fate would have it, the Level III NICU was literally on the other side of the wall. A flood of doctors and nurses came in and whisked her away where the battle began. 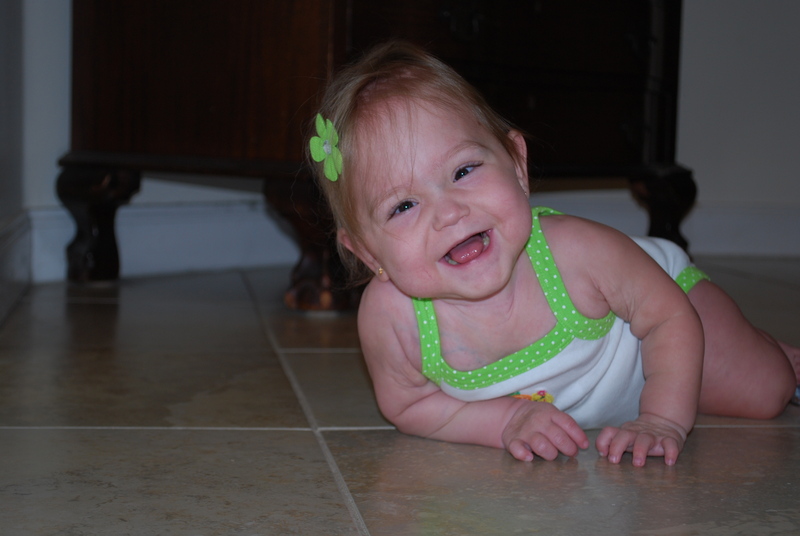 She would eventually have to overcome a total of 15 surgeries during her 200 day NICU stay for various issues. Add in her 70 blood/platelet/plasma transfusions (and no, that’s not a typo – 70 is correct) and you can easily see how hard she fought. She had a perforation in her bowels requiring surgery to remove part of her small intestine, and she had an ostomy bag for a while then of course the reanastomosis later on down the road to put her back together. She had 6 different brain surgeries to treat her hydrocephalus with a shunt – she ended up getting an external shunt first since her belly wasn’t ready to absorb her CSF due to all her surgeries. Then it needed to be internalized and with that came a few that failed. Her eyes were of course premature so she had pretty severe ROP (Stage 4), but she was far too fragile to undergo the typical laser surgery so our only option was to take our chances and do nothing or have her eyes injected with a new experimental medication that was still in clinical trials – that choice was easy. We went for the injections and they worked miracles. Without those, she would have certainly been blind. And we were told that to date, she had the best response of any infant that received the injections and would be a major factor to help get it FDA approved! She would end up needing the laser surgery a year down the road, but the injections saved her eye sight. After bouncing on and off every type of ventilator they had in the hospital (and having severe edema swelling to over 3 times her body weight which took MONTHS to get rid of), she finally was able to breathe on her own. Even though we were told countless times to prepare for a trach and a ventilator at home, Kylie continued to defy the odds and only required a low flow nasal cannula just before finally being discharged. As with many other preemie parents, we thought the hardest part was behind her, but after being home for only 2 days, we were back in the hospital for a solid month which was by far the worst of it all – following a routine surgery for just stitches to help heal an open wound over her shunt she went into shock and we were told she had literally less than an hour to live. The hospital Chaplain was called in, they closed her curtain and said a prayer with us all basically letting her go, but we refused to give up and so did Kylie. She slowly responded after the help of some of her prior doctors and nurses that knew her so well that we called for assistance. She would eventually come home again on New Year’s Eve 2010. We were hoping 2011 would be an easier year, but her 19 ER visits every so often throughout the year would prove us wrong yet again – each visit would always be accompanied with an admission. Some were 2 or 3 days, some were a week, some were longer. Of course we refused to leave her alone for a single minute so my wife and I got very used to seeing each other only in passing to trade off – one would stay with Kylie at the hospital, the other would stay at home with Kylie’s 2 year old brother (Ryan). I’m proud to say that her last hospital stay ended on Christmas Eve, 2011 so we finally had her home for her first Christmas last year and she hasn’t been back to the hospital since. That didn’t mean she still didn’t struggle in other areas. Her weight was the biggest challenge as she only weighed close to 13 lbs when she was 18 months old. We finally found the right combination of calories and formula for her to start packing on the pounds and today she weighs in at 19 lbs and she even has some cute little fat rolls! Developmentally, she’s making unbelievable progress. She’s so close to crawling, just learned to sit up on her own, she’ll clap when you tell her to, and she’s starting to get on her knees and pull up onto things. Kylie has such an amazing and happy personality you can’t help but smile every time she looks at you. And she plays so well with her big brother (who adores and is so sweet to her). As is the case with all micro-preemies that are blessed enough to make it home, Kylie is so amazing and will hopefully help to give others some much needed inspiration. I never thought the most inspiring person in my life (by far) would be barely 2 years old, but it’s Kylie for sure. Never give up, never stop fighting, always believe. Deb Update: Kylie is a quick learner going from a fast army crawl into a full-on crawl just recently. With all of this new activity, she’s burning up those calories so the nutrition had to change for the g-tube. In the meantime, she is also exploring how to bottle feed. Go Kylie! An amazing story, an amazing journey and an amazing girl!!! You’ve amazed us all Kylie girl!!!! Kylie you were one of my mist challenging patients. But I loved your spirit and believed in you. So glad I did. Watching you grow makes my heart soar. Keep it up big girl. I love you. I am overwhelmed with the dedication of these lovable parents of Kylie which helped her to fight on. Kudos too to the team of doctors and nurses that care for her. Kylie is indeed a dogged fighter and I give glory to God for her life. Did you ever have support of home health nursing or therapy services?